Build a Wildly Successful Business! Savvy solopreneurs know the power of a responsive mailing list. 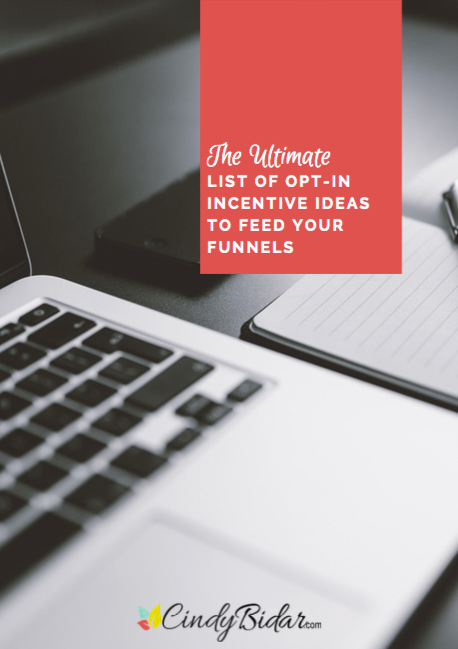 Download this list of easy-to-create opt-in incentives to attract your ideal customer, show off your skills, and make clients eager to work with you. Ready to Put Your Profits on Autopilot? Landing pages not converting? List growth less than stellar? Your opt-in gift may need a refresher. Download my list of high-converting opt-in incentives and give your list-building efforts a boost! Working too hard for every sale? A well-planned funnel can ease the day-to-day money stress so many entrepreneurs face. If that sounds overwhelming, don't worry. My free funnel workbook will get you started. Get the inside scoop with a FREE training that exposes exactly how 6- and 7-figure online businesses build more responsive and profitable email lists on autopilot. Too much to write and not enough time to get it all done? You're not alone. Here are three ideas to help you get more done in less time. Connie Ragen Green has more than a few tricks up her sleeve when it comes to getting started with affiliate marketing. Listen in as she shares her best tips with my 6-Figure Systems members on a private training call. Can a service-based business really benefit from a proper marketing funnel? Heck yeah! Here's 5 ways VAs, freelancers, and other service providers can use funnels to grow their business (and their income). Cindy has been an invaluable part of my team for the past 8 years, so you can bet she knows how to rock my business. She’s a super smart marketer, so she knows the ins and outs of running a business and understands what it takes to grow and increase profits. Easily fill your funnels with these inspiring, informative, and engaging freebies your subscribers will be eager to download!